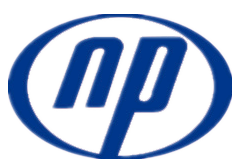 Shijiazhuang Naipu Pump Co.,ltd is experienced in design and produce OEM Slurry Pumps and spare parts. OEM slurry pumps and spare parts are the most important work in Naipu.OEM slurry pumps made in Naipu,OEM Horizontal Slurry Pumps,OEM Vertical Slurry Pumps,OEM Submersible Slurry Pumps. We not produce standard AH,AHR,SP,SPR,G,L,HH series slurry pumps and spare parts, we also desgin our own brand. OEM high chrome horizontal slurry pumps, OEM high chrome vertical slurry pumps, OEM submersible slurry pumps, whatever you need, please contact us and tell us the details, we can produce the pumps for you. Besides whole set slurry pumps,we also accept OEM Slurry Pump Parts, such asOEM Slurry Pump Impeller, frame plate liner ,throat bushing,etc. Looking for ideal OEM Slurry Pumps Made in Naipu Manufacturer & supplier ? We have a wide selection at great prices to help you get creative. All the OEM Horizontal Slurry Pumps are quality guaranteed. We are China Origin Factory of OEM Vertical Slurry Pumps. If you have any question, please feel free to contact us.